1959 born in Herisau, Switzerland. 1984 Graduated from the Swiss Federal Institute of Technology (ETH). 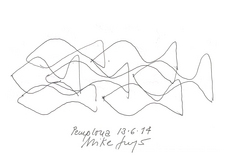 since 1989 Joint architectural practice with Mike Guyer. 2001/2 visiting professor, EPFL Lausanne. 2008 visiting professor, ETH Zurich. since 2012 professor at ETH Zurich. Annette Gigon is married and lives in Zurich. 1958 born in Columbus, Ohio, USA. since 1989 Joint architectural practice with Annette Gigon. 2002 visiting professor, EPFL Lausanne. 2009 visiting professor, ETH Zurich. Mike Guyer is married, has two children and lives in Zurich. Professorship for Architecture and Construction ETH Zurich.